County Bank is an Iowa chartered bank first organized in 1884 in Sigourney, Iowa. Currently County Bank’s main office is on the southeast corner of the Square in Sigourney with locations in Deep River, Gibson, Hartwick, Montezuma and Williamsburg. County Bank has a strong commitment to the communities we serve. County Bank, our Board members, managers and employees have a long-standing tradition of charitable giving and sponsorship of activities in our communities and will be found working side-by-side on many local projects. County Bank is a diversified financial institution offering a wide array of personal, agricultural and business/commercial products. 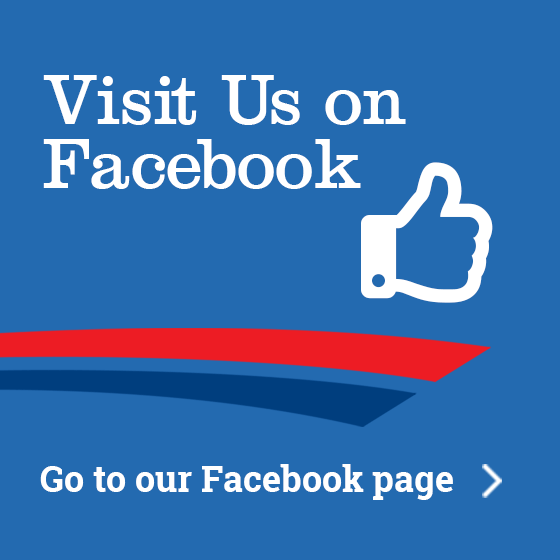 Our products and services include a variety of checking and savings accounts, safe deposit boxes, money orders, wire transfer of funds, credit cards, debit cards and much more. County Bank loan products include fixed and variable rate secured and unsecured personal, business and ag loans, and commercial, residential and agricultural real estate loans. County Bank's secondary market home mortgage loan program is among the most competitive in the state. 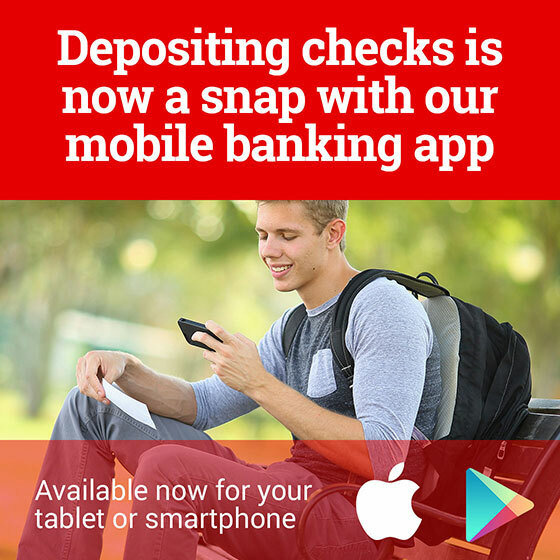 Additional programs offer specialized services such as Rapid Electronic Deposit (ReD) (also called “remote deposit”) which provides additional convenience for commercial customers with an on-going deposit stream. 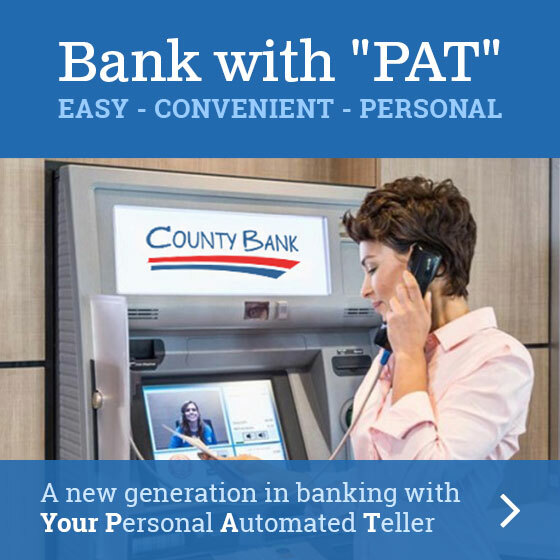 In 2015 County Bank entered a new generation of banking with the introduction of "PAT", a Personal Automated Teller that combines the convenience of an ATM with the personal service of a County Bank Personal Banker. PAT was introduced at 6 sites orginally and now there are 8 PAT locations which are in Sigourney, Williamsburg, Montezuma and Victor. PAT joins County Bank’s package of 24/7/365 Electronic Banking Services including ATMs, Online Banking, Online Bill Pay (iPay), Mobile Banking with optional Remote Deposit and eStatements. All of County Bank's PATs are 24-hour ATMs which are located in Sigourney, Williamsburg and Montezuma. County Bank customers may utilize ATMs nationwide through the Shazam network. PAT will provide personalized services from the Teller Center located in Sigourney during business hours and be available as ATMs 24/7/365.